The Highway Addressable Remote Transducer Protocol, also known as HART, is a communications protocol which ranks high in popularity among industry standards for process measurement and control connectivity. 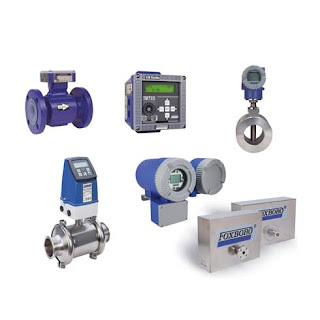 HART combines analog and digital technology to function as an automation protocol. A primary reason for the primacy of HART in the process control industry is the fact that it functions in tandem with the long standing and ubiquitous process industry standard 4-20 mA current loops. The 4-20 mA loops are simple in both construction and functionality, and the HART protocol couples with their technology to maintain communication between controllers and industry devices. PID controllers, SCADA systems, and programmable logic controllers all utilize HART in conjunction with 4-20 mA loops. HART instruments have the capacity to perform in two main modes of operation: point to point, also known as analog/digital mode, and multi-drop mode. The point to point mode joins digital signals with the aforementioned 4-20 mA current loop in order to serve as signal protocols between the controller and a specific measuring instrument. The polling address of the instrument in question is designated with the number "0". A signal specified by the user is designated as the 4-20 mA signal, and then other signals are overlaid on the 4-20 mA signal. A common example is an indication of pressure being sent as a 4-20 mA signal to represent a range of pressures; temperature, another common process control variable, can also be sent digitally using the same wires. In point to point, HART’s digital instrumentation functions as a sort of digital current loop interface, allowing for use over moderate distances. HART in multi-drop mode differs from point to point. In multi-drop mode, the analog loop current is given a fixed designation of 4 mA and multiple instruments can participate in a single signal loop. Each one of the instruments participating in the signal loop need to have their own unique address. Since the HART protocol is a standardized process control industry technology, each specific manufacturer using HART is assigned a unique identification number. This allows for devices participating in the HART protocol to be easily identified upon first interaction with the protocol. Thanks to the open protocol nature, HART has experienced successive revisions in order to enhance the performance and capabilities of the system relating to process control. The standardization of “smart” implementation, along with the ability to function with the legacy 4-20 mA technology and consistent development, has made HART a useful and popular component of the process measurement and control industry framework.